This is just too cute. This is John, a 3 year-old fan of JellyTelly. 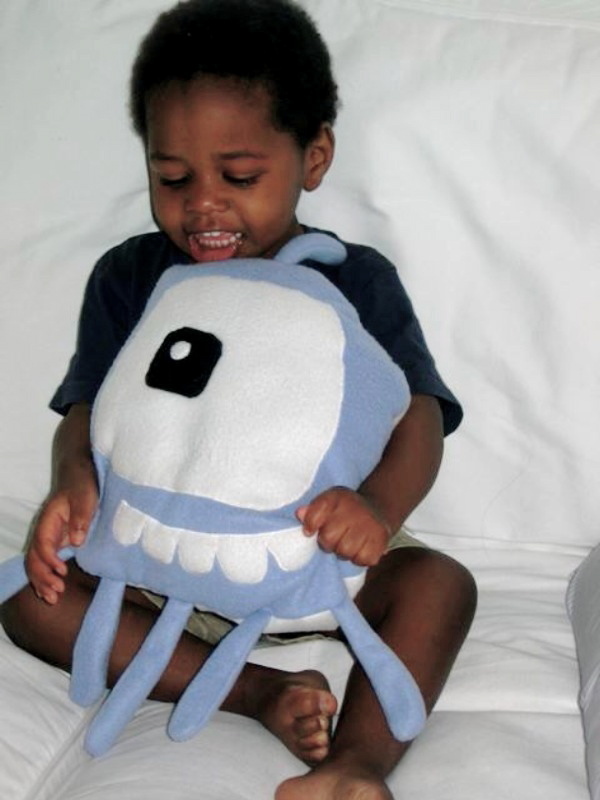 He likes JellyTelly soooo much that his grandmother made him a stuffed Jelly to hug! I want one, too! Thanks to John's dad Dave for sending in the pic! ICVM annual meeting in Denver? (Way cool. love her handiwork, also interesting to see the various funding ideas brought up in various posts). Will you be at the International Christian Visual Media (ICVM) annual meeting in Denver in July? We’re praying about going & if so, I already Wish To Ask for your autograph on my copy of “Me, Myself, & Bob”. As with our videos, I’ve been showing ‘n sharing that book around the Fargo area. You’ve probably already heard this many times, but thanks for all you’ve done…. all you’re doing right now, & all that you still have to do ! Hey Phil – maybe it’s a sign you should start looking at merchandising! 🙂 Seriously, we are still praying for you and for Jelly Telly. Hang in there, and keep us posted as much as you can! Hahaha, that’s one of the cutest things I’ve seen. And about JellyTelly funding… How about a JellyTelly Store? Some DVD’s of the shows? Or some T-Shirts! Or these kind of cuddly stuffed animals! Happy Birthday Phil for today (the 16th)! I won’t tell anyone how old you are, but I only found out from Wikipedia! HOW CUTE!!! i wanna stuffed jelly too!